Nowadays, glass is a commonplace element in almost all corporate, commercial and domestic buildings. The production of toughened glass transformed the architectural uses of the material and made the glass balustrade an ideal protective barrier for elevated spaces. When combined with chrome, stainless steel or even fine wood, glass gives any space a sophisticated, minimalist look. 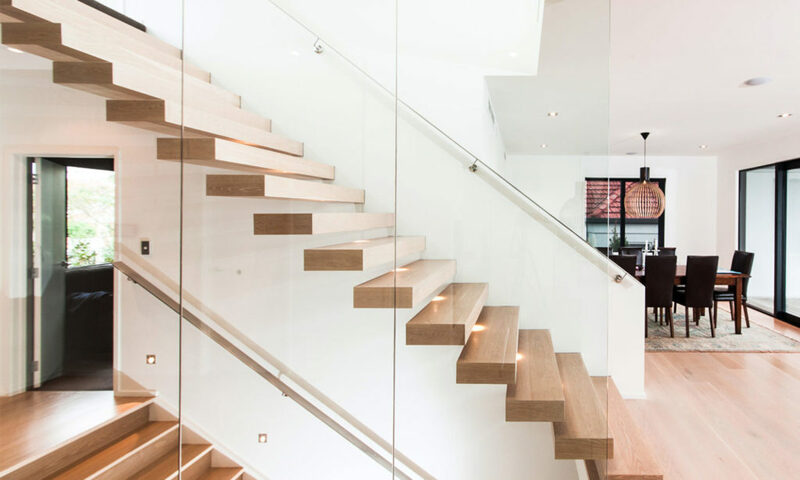 The New Zealand government has strict regulations when it comes to what are acceptable solutions to staircase balustrades. All new structural glass (toughened or toughened laminated) framed barriers complying with B1/AS1 need to have an interlinking top rail combined with an edge support system. Interlinking rails must be designed to resist serviceability limit state (SLS) loads specified in AS/NZS 1170 Structural design actions and B1/VM1 in the event that a glass pane breaks. Frameless glass barriers (no interlinking top rail) must be constructed from laminated toughened or laminated heat-strengthened safety glass with a stiff interlayer designed to retain glass and prevent collapse, if broken. The stiff interlayer must be capable of preventing collapse in the event of a breakage of both panes of glass. As an exterior feature, glass balustrades permit natural light to enter the building and, when used on balconies, present an uninterrupted view of the landscapes. Glass balustrades are just as beautiful inside the house. Their seamless finish complements designer staircases, providing both style and safety. Glass balustrades are low maintenance, requiring little cleaning. Simply spray the surfaces and wipe off the excess water with a microfibre cloth. Trustworthy providers engineer their glass balustrades to meet high standards, ensuring their durability and safety. If you are looking for the newest additions to your home, choose a business that prioritises quality. Visit ackworthhouse.co.nz for a range of first-rate glass balustrades and other interior structures.